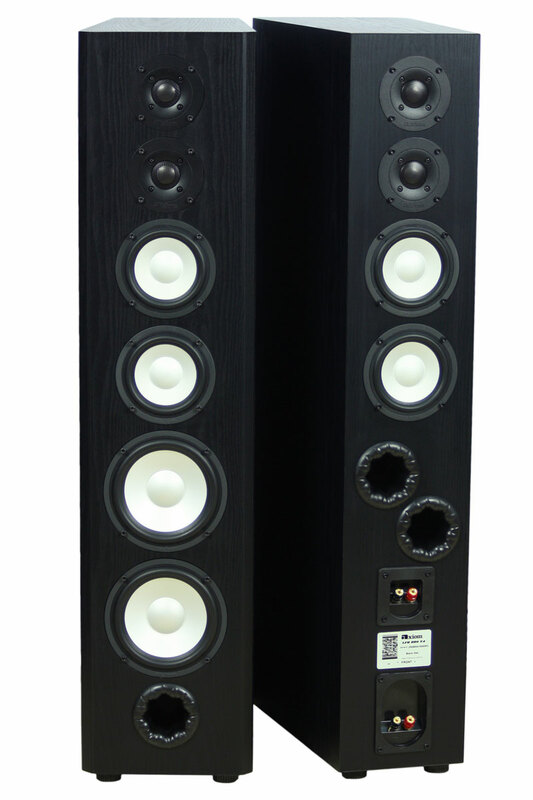 The LFR880 features omnidirectional sound in a design based on the famous M80 tower. 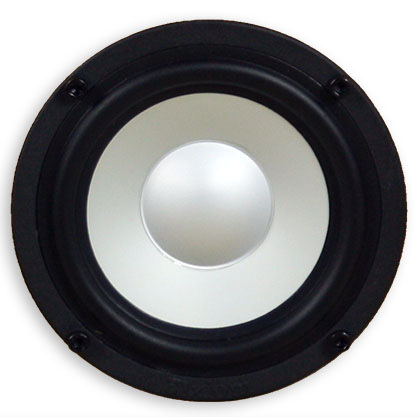 Based on the stellar accolades of the LFR1100 omnidirectional speakers from both our customers and professional reviewers we have developed an entire line of LFR products, the wouldn’t be complete without a model based on our famous M80. Hence the LFR880 and LFR880HP (High Powered) have been created. The High Powered version has very heavy duty 6.5” woofers for added maximum SPL output and no compression in the bass region. The entire LFR series is the brainchild of Andrew Welker and Ian Colquhoun, this omnidirectional wonder solves the problem of typical bipole or dipole speakers: they typically provide incredible depth of soundstage, but images tend to be ill-defined and washed-out. "I always look for speakers that melt the walls away and transport me to the concert hall; or into the world of the movie I'm watching. 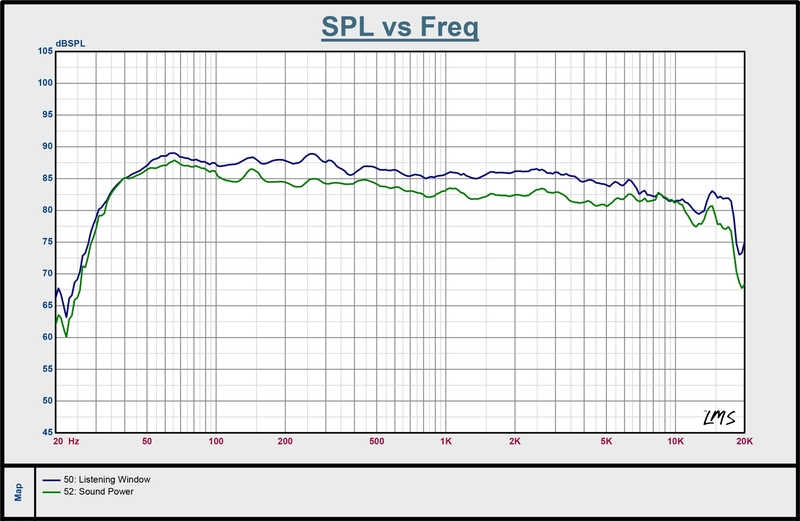 The LFR-1100s did this in a way I didn't think was possible; especially for a speaker pair that costs less (way less!) than $25,000." Axiom's DSP1, included with the LFR880s. 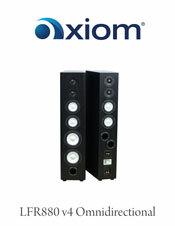 By using a sophisticated DSP to tailor the response of each complement of drivers, front and rear, Axiom was able to overcome this bipole/dipole limitation to create the first omnidirectional speaker that preserves the spacious sound enthusiasts love, but with the same neutral tonal balance and pinpoint imaging for which Axiom speakers are renowned. The result? 2-D imaging is suddenly brought into a 3-D soundstage, immersing the listener and enveloping your senses. Traditionally, bipole/dipole designs have been plagued by a persistent problem: the spacious presentation sounds great for a while, but eventually it becomes off-putting because you can't isolate soloists or pinpoint actions. Axiom met this challenge by innovating a way to apply psychoacoustic principals to create speakers that offer the best of both forward radiating and bipole designs. Extensive customization of the frequency response of the rear drivers, working in conjunction with a more subtle customization of the front drivers, creates a seamless soundstage with minimal roll-off at the top end, even at extreme angles away from the sweet spot. You'll still marvel at the sense of the speakers' soundfield opening up before you, but the image detail doesn't shift at all. The LFR880 front baffle features two 6.5-inch woofers, two 5.25-inch midrange/woofers, and two 1-inch tweeters, with our signature vortex port in the bottom. The rear baffle adds two more vortex ports, two more 5.25-inch midrange/woofer, and two more 1-inch tweeter. It requires four channels of amplification to drive these speakers: right front, left front, right rear, and left rear all need to be powered separately. The DSP included with the LFR880s separates the front right and left channels into these four channels. The DSP included is in a stand-alone case that sits between your preamplifier or receiver and the amplifier. The DSP accepts the main right and left channels from the preamplifier through RCA connects or from your receiver through High Level speaker connections and outputs right front, right rear, left front, and left rear channels for your amplifier. You can also choose in Customize Yours some upgraded and integrated versions of the DSP. There is another stand-alone version of the DSP that does not have the High Level inputs but instead has both RCA and Balanced in and out. Then there are two version of and integrated DSP and amplifier. Both versions include our ADA1000-4 amplifier with the DSP built into it. The one version accepts either a pre-out or high level (speaker wire) out from your pre-amp or receiver. The other version will accept up to 3 independent sources (i-pod, CD player, etc) and has an input selector switch, a balance control, and a volume control on the front panel. Why a Digital Signal Processor (DSP) for the LFR880? In order to get optimal integration between the front and rear drivers each set of drivers needs to have a very unique set of amplitude response curves. This isn't possible to do with a passive network, so we employ the power of a DSP to ensure we end up with the desired family of curves measured all the way around the speaker. 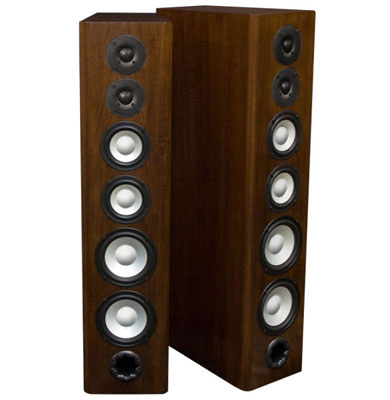 This ensures complete control over the midrange fidelity of the omnidirectional speaker, and keeps it from suffering from a lack of image focus or spectral neutrality which is so often a problem with omnidirectional designs. The DSP tailors phase response between the front and back sections, as well as the amplitude response characteristics.